Beautiful early vase made by Laigneil after a design by Henri van de Velde. Henri van de Velde was famous for his design of curved lines, which became known as the "whiplash" line. 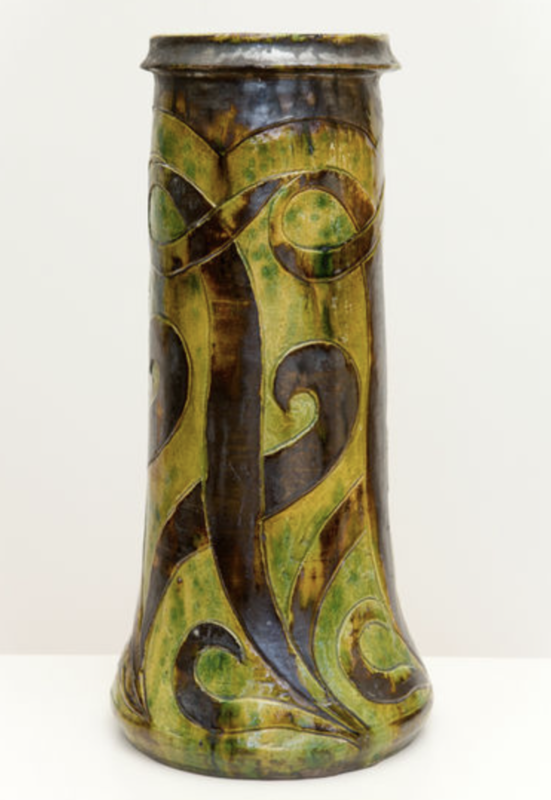 This vase is a good example of how Laigneil used the designs made by famous artists to decorate his vases.